Here are some snazzy birthday facts about 20th of September 1977 that no one tells you about. Don’t wait a minute longer and jump in using the content links below. Average read time of 10 minutes. Enjoy! What day was my birthday Sep 20, 1977? September 20, 1977 was a Tuesday and it was the 263rd day of the year 1977. It was the 38th Tuesday of that year. The next time you can reuse your old 1977 calendar will be in 2022. Both calendars will be exactly the same! This is assuming you are not interested in the dates for Easter and other irregular holidays that are based on a lunisolar calendar. There are 152 days left before your next birthday. You will be 42 years old when that day comes. There have been 15,188 days from the day you were born up to today. If you’ve been sleeping 8 hours daily since birth, then you have slept a total of 5,063 days or 13.86 years. You spent 33% of your life sleeping. Since night and day always follow each other, there were precisely 515 full moons after you were born up to this day. How many of them did you see? The next full moon that you can see will be on May 18 at 21:13:00 GMT – Saturday. Fun stat: Your first one billion seconds (1,000,000,000) happened sometime on May 29, 2009. If a dog named Piccolli - a Canaan Dog breed, was born on the same date as you then it will be 204 dog years old today. A dog’s first human year is equal to 15 dog years. Dogs age differently depending on breed and size. When you reach the age of 6 Piccolli will be 42 dog years old. From that point forward a medium-sized dog like Piccolli will age 4.5 dog years for every human year. The finish of the Walking Purchase which forces the cession of 1.2 million acres (4,860 km²) of Lenape-Delaware tribal land to the Pennsylvania Colony. Bersaglieri corps enter Rome through the Porta Pia and complete the unification of Italy, ending de facto the temporal power of popes. Cunard Line’s RMS Mauretania is launched at the Swan Hunter & Wigham Richardson shipyard in Newcastle upon Tyne, England. Foundation of the Spanish Legion. Holocaust in Letychiv, Ukraine. In the course of two days the German SS murders at least 3,000 Jews. Billie Jean King beats Bobby Riggs in the Battle of the Sexes tennis match at the Houston Astrodome. Capital gains tax is introduced in Australia, one of a number of tax reforms by the Hawke/Keating government. What does my birthday September 20, 1977 mean? 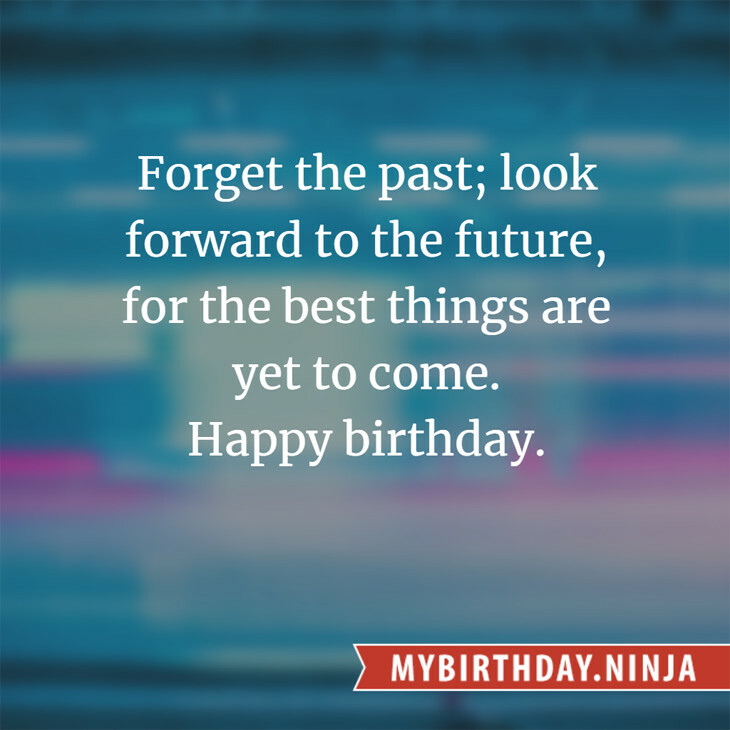 Your birthday numbers 9, 20, and 1977 reveal that your Life Path number is 8. It represents experience, authority and endeavour. You are gifted with natural leadership and the capacity to accumulate great wealth. The following celebrities also have the same life path number: Cate Blanchett, Dexter Holland, Vaali, Sascha Konietzko, Jolo Revilla, Michael Maltese, Erin Moriarty, Susan Cabot, Curtis Harrington, Mary Elizabeth McDonough. 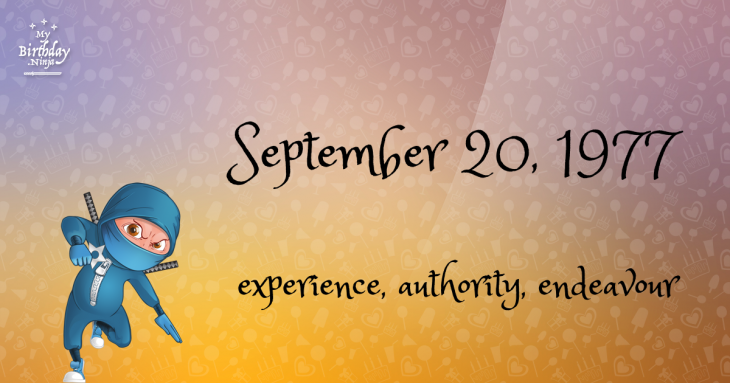 What is the birthday horoscope for Sep 20, 1977? The Western zodiac or sun sign of a person born on September 20 is Virgo ♍ (The Maiden) – a mutable sign with Earth as Western element. The ruling planet is Mercury – the planet of communication. According to the ancient art of Chinese astrology (or Eastern zodiac), Snake is the mythical animal and Fire is the Eastern element of a person born on September 20, 1977. Fun fact: The birth flower for 20th September 1977 is Aster for memory. What is the Love Match for Sep 20, 1977? When it comes to love and relationship, you are most compatible with a person born on October 14, 1958. You have a Love Match compatibility score of +149. Imagine being in love with your soul mate. On the negative side, you are most incompatible with a person born on February 13, 1964. Your incompatibility score is -130. You’ll be like a cat and a dog on a love-hate relationship. Arf-arf, I want to bite you. Meow-meow, stay away from me! How many babies were born on September 20, 1977? Base on the data published by the United Nations Population Division, an estimated 121,958,945 babies were born throughout the world in the year 1977. The estimated number of babies born on 20th September 1977 is 334,134. That’s equivalent to 232 babies every minute. Try to imagine if all of them are crying at the same time. What is the popular baby name on 20 Sep 1977? Here’s a quick list of all the fun birthday facts about September 20, 1977. Celebrities, famous birthdays, historical events, and past life were excluded. Try another birth date of someone you know or try the birthday of these celebrities: November 24, 1942 – Billy Connolly, Scottish comedian, actor, and singer (The Humblebums); November 25, 1967 – Gregg Turkington, Australian-American comedian and singer (Zip Code Rapists); July 10, 1993 – Carlon Jeffery, American actor.